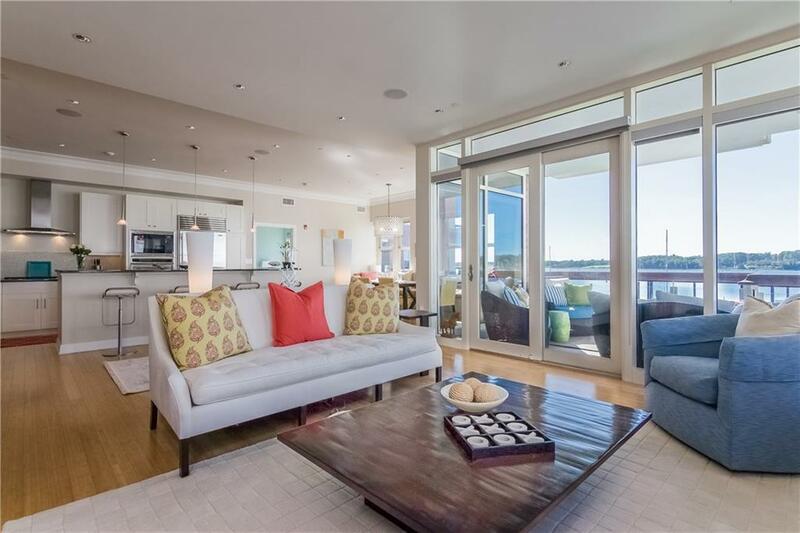 Absolutely spectacular west facing water views from the entry, great room, kitchen, dining area, master bedroom & portion of 2nd bedroom from this extremely desirable luxurious corner unit. 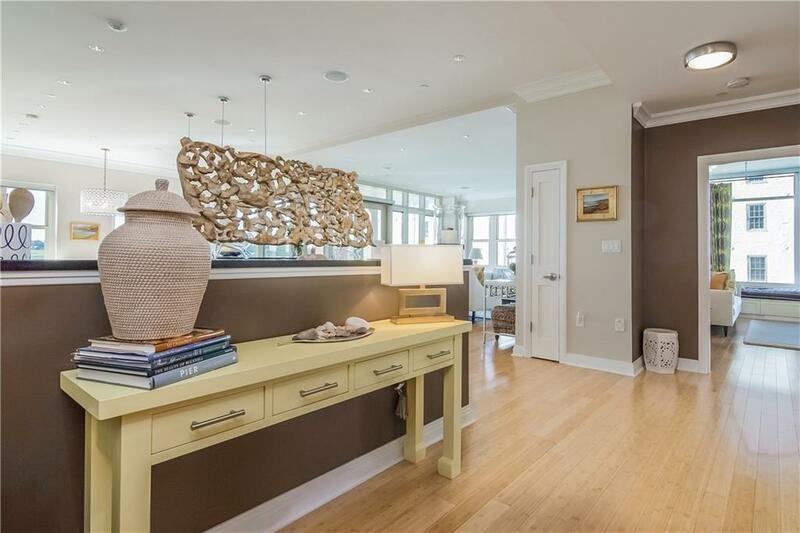 Benefitting from walls of windows on 2 sides of the entire condo, this corner residence has much greater natural light than other non-corner units. 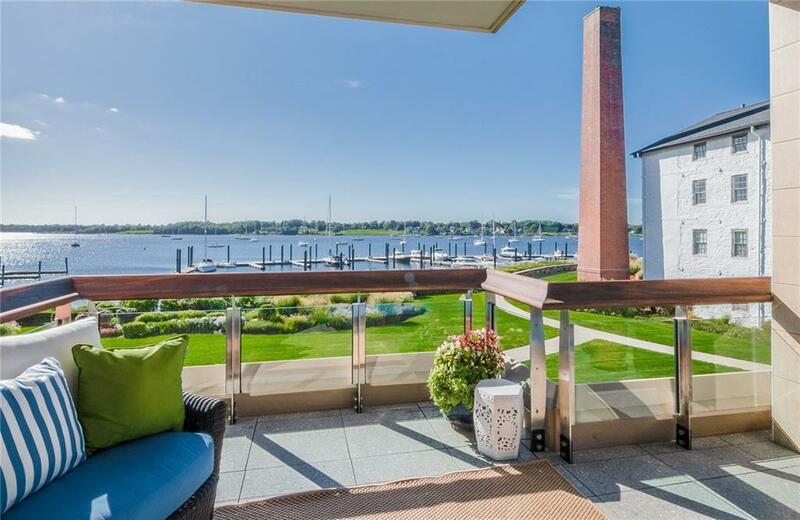 Large private terrace overlooking the harbor is an ideal place to watch the sunset. Desirable open floor plan kitchen, dining area, and living room with gas fireplace benefitting from high ceilings and gorgeous bamboo floors. Gourmet kitchen with Wolf/Sub-Zero & Asko appliances, granite countertops & large island with bar stool seating. Spacious master bedroom with large walk-in closet and office area with built-in cabinetry. Master bathroom features both a whirlpool style tub & shower. Second bedroom with built-in bench ideal for relaxing & enjoying the water views. This residence is being offered inclusive of a 40ft slip at the Stone Harbour Marina which can accommodate an up to 45ft boat. Located in historic downtown waterfront Bristol, Stone Harbour is a private waterfront enclave within walking distance to numerous restaurants, shops, and bars. Enjoy the best of luxury condo living in the heart of historic Bristol! 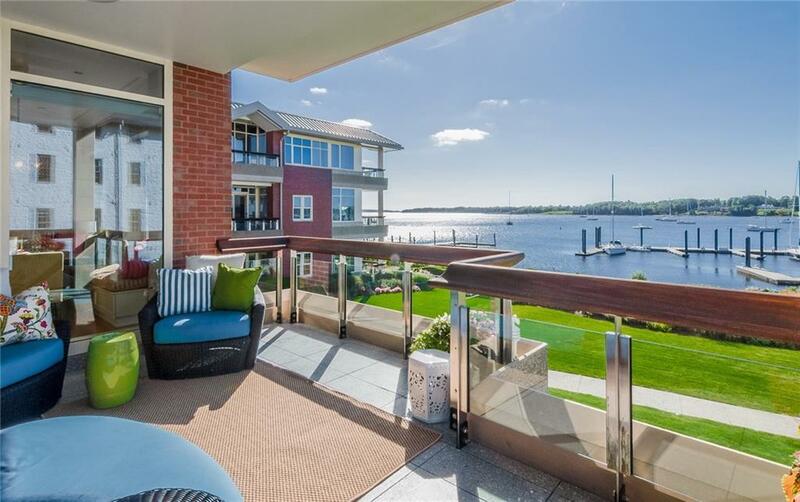 The water views, natural light and sense of space in this unit are truly exceptional and need to be seen firsthand to fully appreciate everything this luxury residence offers!